Watch video for their track “Gamar” from new album Balfron Promise here. Following the late-2018 release of their debut album, Balfron Promise, Palestinian Shamstep band 47SOUL have been in high-demand. Performing their first U.S. concerts in January to sell out crowds in Chicago, Washington D.C. and New York, the quartet left critics and fans raving. To meet the increased demand the band has confirmed additional North American shows this March including SXSW, Canada, Brooklyn, New York and their first-ever shows on the west coast including Los Angeles and San Francisco. 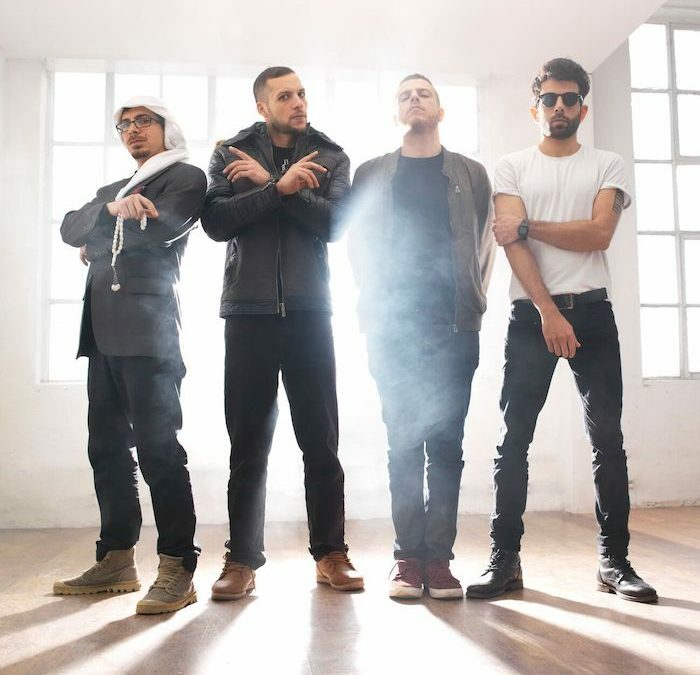 47SOUL have become renowned for inventing their own genre Shamstep fusing dubby, synthie sounds with rock elements, hip-hop and pop lyrics in English and Arabic. The high-energy electronic creation, featuring Arab roots music (Dabke) have been kicked up a gear on Balfron Promise, with cinematic soundscapes and menacing rock undertones creating an extra atmospheric edge. See below for what critics are saying and a full list of tour dates. 47SOUL is an Electro Arabic Dabke (Shamstep) band formed in Amman Jordan in 2013. The members are rooted in Bilad Al-Sham, spanning the divides from Amman to the Galilee to Ramallah and the rest of the Palestinian Diaspora. This new sound of 47SOUL has rapidly amassed fans in the Arab World, Europe, and around the globe by blasting the electric Arabic Dabke sound through alternative and street music scenes. On top of the beats that have been pumping in the Arab World for centuries, 47SOUL hypes it up with analog synthesizers, hypnotic guitar lines, group vocals, and melodic verses from the bands’ singers. Every show ends in relentless dance and trance from all audiences involved. Their lyrics, mixing Arabic and English, call to celebrate and advance the struggle for freedom and equality, inside Bilad Al Sham and throughout the world.